Growing up in Vienna, West Virginia, Tim Phillips was a big fish in a small pond. 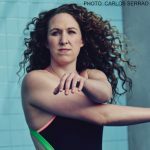 Having a father as a swim coach, Phillips understood from a young age the competitive nature of the sport. As an age grouper, he competed mostly in YMCA meets and leagues, working on technique and enjoying the social aspects of being on a team. 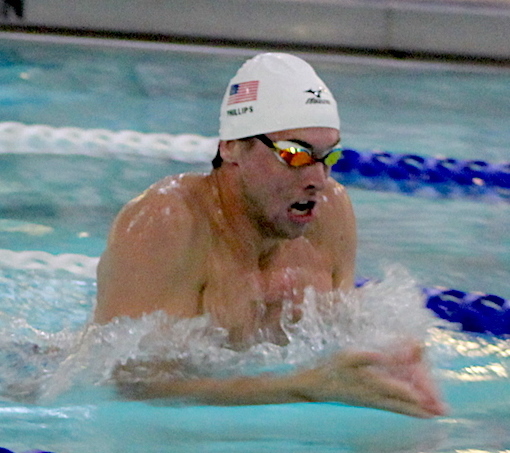 In high school, Phillips became a full-time swimmer and his goal – to compete in college and earn a scholarship. At the Southern Zones Championships, Phillips qualified for his first Junior Nationals and would eventually go on to qualify for the USA National Junior Team. Phillips committed to Ohio State University and his path has been one of steady improvement. Phillips emphasizes that he has had to be very patient in his journey to becoming one of the top butterfliers in the world: it has not been an easy road, and there were many doubts along the way. Coming from a small town where local athletes received a lot of attention, Phillips had to learn how to handle external pressure since he was in high school. Phillips views this time in his life as a positive and shares his experiences with the athletes he works with at clinics. Phillips keeps his clinics fun and engaging, and loves working with kids of all ages through the Fitter and Faster Swim Tour!